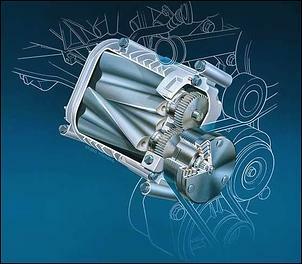 The technologies and control of variable compression ratio engines. While Saab's variable compression engine prototype (covered at "Saab's Variable Compression Engine") is the design that has achieved the greatest publicity, many other manufacturers and inventers are now working on variable compression engines. Because of the emissions and fuel consumption benefits that can be achieved by a downsized, forced aspirated variable compression engine, it's likely that this type of technology will be widely adopted in the future. But what mechanical approach will be used, and how will the variable compression function be controlled? Here we take a look at the current state of the art. But firstly, why does variable compression ratio technology have potential? An engine with a higher compression ratio is more efficient - it gains more energy from the fuel being burnt. However, like all good things, there is a limit to how far the compression ratio (CR) can be increased before the disadvantages start to more than offset the advantages. Specifically, an engine with a CR above about 11-12:1 starts to suffer because the ignition timing has to be pulled back in order that detonation is avoided. However, that's at full throttle - but at part-throttle the situation's very different. Because the volumetric efficiency (the amount of air that is breathed by the engine each intake stroke, compared with its capacity) dramatically drops at part-throttle, the combustion pressures are also much lower. This means the CR and ignition timing detonation limits that apply at wide open throttle no longer apply at part throttle. Simply put, at part-throttle an engine can have a much higher compression ratio and/or more advanced ignition timing than at full-throttle. Given that the vast majority of car use is at part-throttle, an efficiency boost created by a higher CR during part-throttle operation results in real-world improvements in fuel consumption and CO2 emissions. While the benefits of variable compression ratios can be demonstrated with a comparison of optimal ratios for part and full-throttle operation, it's in forced aspirated engines where even more significant advantages can be gained. This is because the downsizing of an engine in a class of car (eg from 3 litres to 1.8 litres) has immediate benefits in fuel consumption and CO2 outputs in part-throttle conditions - but creates an unacceptable performance penalty at full-throttle. Turbocharging or supercharging the smaller engine can allow it to develop as much power as the 3-litre naturally aspirated design, but efficiency at part-throttle will again be reduced because of the required reduction in compression ratio. So the manufacturer can reduce consumption and CO2 emissions by downsizing the engine, but if they use forced aspiration to get back the performance, a reduction in CR will be needed, so decreasing part-throttle efficiency. The answer to this dilemma is variable CR used in conjunction with high boost. That way the CR can be lower at wide open throttle when full boost is being used, and higher at part-throttle when the likelihood of detonation is reduced. And all achieved with a smaller engine which has less pumping and frictional losses! This is the approach taken by Saab in their prototype engine. The head and the cylinder liners are combined into a so-called monobloc which is able to pivot with respect to the rest of the engine. This alters the volume of the combustion chamber, and so the compression ratio. Taking this approach involves a major re-engineering of the whole engine, and in addition, the speed with which the CR can be altered may not be sufficient for transient performance requirements. Changes in the combustion chamber volume are typically achieved by a small extra piston that moves to enlarge or reduce the volume of a chamber abutting the combustion chamber. A Ford Global Technologies patent issued in 2000 shows such a design, which is primarily intended to reduce CR and so control knock. 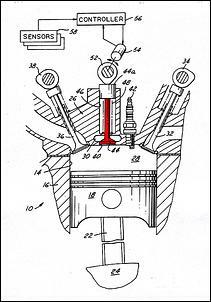 The moveable piston is highlighted in red. An alternative approach is the Alvar engine. In this approach a second reciprocating piston working within the combustion chamber alters the combustion chamber volume. The small piston operates at half crankshaft speed and so could be driven by the camshaft. 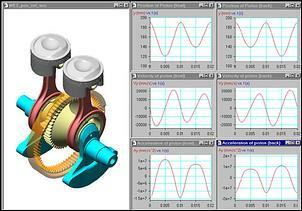 Varying the phase (ie timing) of the crankshaft and second piston assembly allows for a variation in CR. Added complexity of combustion chamber design, especially if a good relationship between the valves, combustion chamber shape and sparkplug location is to be maintained. Emissions performance may suffer from the additional crevice volumes, where the fuel/air mix may be slow to burn or not burn completely. Varying the CR may be difficult as the varying compression ratio mechanism is subjected to full firing pressures. The Alvar engine will have parasitic losses through the power used to operate the additional pistons. 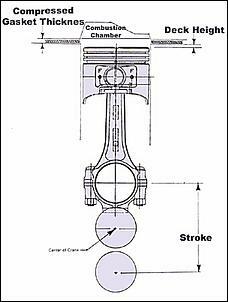 Changing the height of the piston (ie the distance from the gudgeon pin to the crown of the piston) is perhaps the most likely variable CR technology to be adopted. Compared with the above approaches, much of the engine can remain unchanged over a fixed CR version. The negative is that a variable CR piston is likely to weigh considerably more than a conventional piston, increasing reciprocating mass. 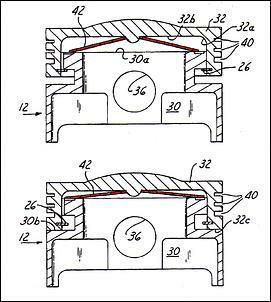 A Ford Global Technologies patent granted in 1998 shows a variable compression piston where the crown of the piston is able to slide up and down with respect to the lower part of the piston. Positioned between the two piston parts is a spring Belleville-type washer (highlighted in red). This piston self-adjusts its compression ratio, depending on the combustion forces being applied to the crown. The patent says in part: "The spring rate of Belleville washer...may be selected such that crown portion will move to the minimum compression height position when the anticipated maximum cylinder pressure exceeds a predetermined threshold. "The threshold value, whether determined experimentally or analytically, may be selected so as to control noise emissions, or peak cylinder pressure. In this manner, the efficiency resulting from a higher compression ratio, may be combined with the knock control available with a lower compression ratio." A different approach has been taken by DaimlerChrysler. 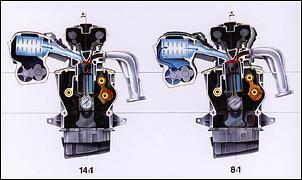 Their design varies the relationship between the two parts of the piston by means of oil pressure. This active system uses two oil chambers within the piston that are filled or emptied as desired. However, feeding metered amounts of engine oil pressure to a fast-moving assembly has major technical difficulties. CR can be varied by mounting the big-end of the conrod on a lever that rides on the crankshaft. The lever is moved with respect to the crankshaft, so placing the conrod big end further or closer to the crank. The result is that the effective length of the conrod changes, altering CR. Nissan, Ford and Peugeot are exploring this type of approach. 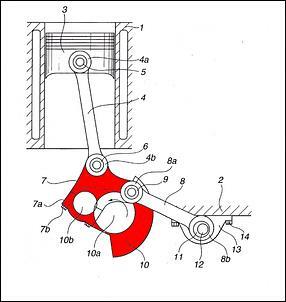 The diagram shown here is from a Nissan patent, with the lever highlighted in red. There are a number of designs where the crankpins are driven in a non-circular motion in order that the compression ratio is varied. The Gomecsys 'Go-Engine' is one such design. According to the company it is "the only VCR-engine (variable compression ratio) with a true 720-degree cycle, which features an over-expanded engine cycle, different TDC positions within one cycle, a variable inlet volume and an important reduction in piston skirt friction. "To realize this the engine is equipped with an extra eccentric between the crankshaft and the big end of each connecting rod. A carefully dimensioned gearing forces the eccentric into a specified path.The connecting rod in its turn follows the motion of the eccentric." In variable CR engines where the CR can be dynamically altered by a control system, strategies need to be developed so that the optimal CR is occurring as required. Prodrive in the UK has investigated what strategies are required for different combinations of boost and CR. When the engine is started, boost is zero and the CR is low. As the driver accelerates, CR stays low but boost increases. When the driver throttles back into cruise, boost drops and CR increases. Should the driver then accelerate heavily, boost increases and CR drops. The speed with which the changes in CR need to be made is also important. If the driver is in light-throttle cruise and then accelerates heavily, Prodrive found that if a feel similar to turbo lag wasn't to be experienced, the system had to achieve the CR reduction in less than 1/10th of a second. Going the other way (from heavy throttle to light throttle) didn't require anywhere near the same speed of system response. Closed loop control - where the feedback of a knock sensor is used to help control the selected CR - is now being developed. Previous systems used a simple map of load versus boost versus CR. One major problem with many variable CR systems is the adjusting of the CR while being subjected to firing loads. This makes the required rapid changing of CR even more difficult. One approach to enabling the rapid reduction in CR is to allow the power stroke to do the work - that is, configuring the mechanism to drop back into its low CR state as the piston is being forced downwards. The system can then be clamped in that low CR position until a further change is needed. The adjustment to a higher CR can be achieved more slowly, reducing substantially the cost and complexity of the required mechanism. A further simplicity can be achieved if only two compression ratios are available - high and low. Taking this approach will still achieve most of the advantages of a variable CR engine. Engines with variable compression ratios have the potential to improve engine efficiency in real-world conditions. Further, they can be teamed with high-boost forced induction to allow the downsizing of engines without a reduction in power or efficiency. Finally, coming technologies such as combined starter/generators - which can provide electric assist at low road speeds - combine well with turbocharged variable CR engines, where low-rpm boost is not available.